After conducting a nationwide search, Millinocket Regional Hospital would like to offer a warm welcome to Robert Peterson, MBA, FACHE, as our new Chief Executive Officer (CEO). Mr. Peterson assumed his duties here Monday, June 9, 2014 after departing from a successful career at Eastern Maine Medical Center as the Administrator for Surgery and Women and Children’s Services. Bob Peterson graduated from Lenoir-Rhyne College in Hickory, North Carolina with a Bachelor of Science degree in Medical Technology. He then earned a Master of Business Administration degree in Healthcare Management at the University of Connecticut. Prior to joining Millinocket Regional Hospital, Bob worked for 25 years at Windham Hospital in Connecticut where he was the Vice President of Operations. 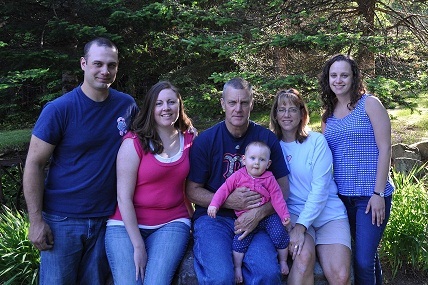 After re-locating to Maine, Bob continued his career as the Administrator for Surgery and Women and Children’s Services at Eastern Maine Medical Center. Bob and his wife Donna live in Dover-Foxcroft, but look forward to finding property in the local area. Donna is an attorney by training and currently works as the Register of Probate in the Piscataquis County Court System. Together they have two children and one grandchild. Andrew is a full-time firefighter. He and his wife Kari (an operating room nurse) have a nine-month old daughter Laureli. Erica is a graduate of Michigan State University and is currently completing her Master’s degree at the University of Maine. She is a teacher focusing her studies on special education. The entire family enjoys the outdoors. Running and hiking in the summer months and snowmobiling and snowshoeing in the winter allows for full year enjoyment of the beautiful Maine trails. Hunting is also a family affair that fills the fall and creates lasting memories that are shared often.